The Ontario Municipal Board (OMB) has overturned the City's refusal to allow Lynwood Hall and Charlton Hall to merge in a single facility at 121 Augusta. The appeal is allowed and Zoning By-law 6593 of the City of Hamilton is hereby amended. With this ruling [PDF], OMB member Richard Makuch overturned City Council's denial of Lynwood Charlton Hall's request. City Council initially denied the plan to merge Lynwood and Charlton Hall in one facility, citing the City's radial separation bylaw which bans "Residential Care Facilities" from being located with 300 metres of each other and limits the number of beds in each facility. 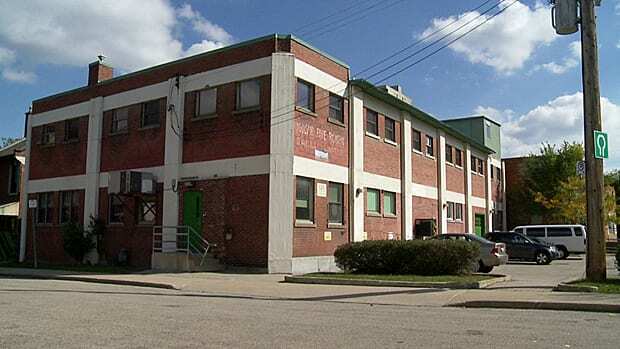 The Ontario Human Rights Commission (OHRC) became involved, and at the last-minute, City Council changed their argument to purely a zoning issue, arguing the proposed move would create an "institutional" zoning because of day programming and administrative use on the first floor of the Augusta location. At the OMB pre-hearing, the City argued that the OHRC was not a legally constituted body and that regardless, radial separation was not the issue at hand and the OHRC should not be granted standing. These arguments were dismissed. In a partial victory for the City, the OMB did not rule on radial separation, meaning the City's radial separation bylaw - which had been the centre of this controversy - remains intact. The City is presently fighting other OMB battles based on the bylaw. Lynwood Charlton's circumstances made defending radial separation in this circumstance very difficult: a ruling striking down radial separation would have city-wide implications. Makuch briefly wrote about the radial separation issue in his ruling, noting: the lack of RCF facility beds in Corktown; that the City approved a large seniors care facility next door at 121 Walnut prior to changing the RCF bylaw to remove seniors facilities from the RCF definition; and that Lynwood Hall is moving from a neighbourhood with a RCF moratorium to one without. The OMB rejected the City's zoning arguments in very strong language for a legal ruling. 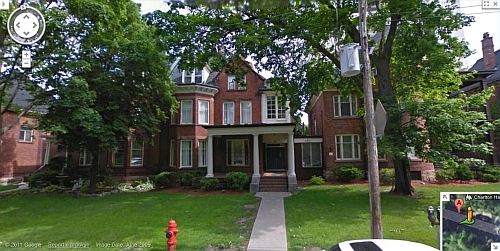 Citing a 1995 rezoning application, which stated the land at 121 Augusta was designated for "medium density apartments" and that the office use should only be allowed on an interim basis, the City argued the proposed Lynwood Charlton Hall use would 'frustrate' the City's planned zoning use for the neighbourhood and changing to institutional goes against current provincial planning directives. Makuch ruled Lynwood that Charlton Hall's plan is consistent with the Provincial Policy Statement 2005, noting "healthy, liveable and safe communities are sustained by ... improving accessibility for persons with disabilities and the elderly by removing and/or preventing land use barriers which restrict their full participation in society". "The City's argument simply does not stand up when one considers the existing Charlton Hall," wrote Makuch. It operates under the same zoning bylaw and City did not argue it "frustrated the planned function of the site". The City argued that the Augusta site had "no green space", was closed to the railway, and that it was not a proper location for the teenage girls. "The evidence was clear that the new environment would be superior for the care of the eight adolescent girls," wrote Makuch. The City failed to convince Makuch the Augusta location will harm the Corktown community. "There are no demonstrated impacts from this proposed development," he wrote. The proposed centre "will not result in any social impacts," Makuch ruled. The City has not issued a statement. "The decision is being reviewed by our staff who will then brief Council on the potential impacts of the decision. My view is that the proposed residential facility is not suitable for its intended use as a site for the rehabilitation of troubled young people. Living quarters are a few feet from stored locomotives and an active and busy main rail line. The area has also had issues with drug dealing and vagrancy." "The decision is being reviewed by our staff who will then brief Council on the potential impacts of the decision. My view is that the proposed residential facility is not suitable for its intended use as a site for the rehabilitation of troubled young people. Living quarters are a few feet from stored locomotives and an active and busy main rail line and a few metres from my own house. The area has also had issues with drug dealing and vagrancy." What impact, if any, does this have on Ward 2's "moratorium areas"? "the OMB did not rule on radial separation, meaning the City's radial separation bylaw - which had been the centre of this controversy - remains intact." So it's still illegal to open or expand residential care facilities, retirement homes, emergency shelters, corrections residence and correctional facilities in the neighbourhoods bounded by Queen South/Markland/James South/Main West and Wellington South/Escarpment/Sherman South/King East. The current location of Charlton Hall makes sense given that the girls are receiving treatment and attending programs at St. Joe's, so to be within walking distance is logical. With the opening of the new health campus on West 5th and Fennell in 2014; will their treatment/programs move to this facility? If so, wouldn't a suitable residence in close proximity to the new hospital (i.e. Ward 8) be more appropriate for these girls. Google map shows the new location on Augusta is further to St. Joe's than the current location on Charlton. Is this correct? A care facility on the mountain? Is there even such a thing? Wow... I had no idea there were that many on the Mountain (or in Hamilton, for that matter...)... wow... sure isn't a lot in Ancaster. I wonder how this compares to Burlington? At a high level the numbers on the mountain are misleading. Zoom to 250% and you see numerous in close proximity below the mountain and many on the mountain are one-offs. Further lack of respect for home owners in Corktown. "Further lack of respect from home owners in Corktown." If the girls want to get angry, perhaps they should direct it at whomever let their current facility get to the point that it is "beyond repair". Frankly, when I look at the old and the new facilities, it strikes me that they are in for a HUGE downgrade. The new one is a depressing looking industrial box. Wouldn't they rather be in their current home? "perhaps they should direct it at whomever let their current facility get to the point that it is "beyond repair"." So, the City? It owns the Charlton house. It's unfortunate the OMB is continuing practices that will further concentrate poverty in certain areas of the city, instead of trying to create mixed-income neighbourhoods. We are faced with further income polarization between the east and western ends from this unelected, unaccountable body. It's easy to make ghettos, so why would they change? These facilites are downtown due to there being more ammenities cor them. They only impact new urban developers who want to develop and gentrify and already bustling area. Downtown are for all people. They only impact new urban developers who want to develop and gentrify and already bustling area. Because nobody else is affected. Right.